Today is World Pride Day, and this year's theme for the World Pride Parade is 'One World, One Pride, One Voice'. 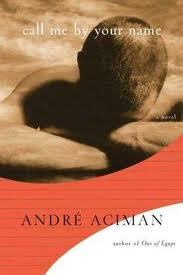 So in honour of World Pride Day, I thought I'd showcase a few more LGBT literature from Africa. More can be found here. 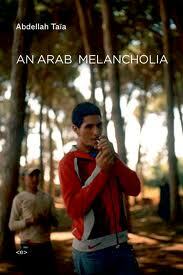 An autobiographical novel by Moroccan Abdellah Taia. Salvation Army tells the story of Taia's life from childhood bound by a family order and latent (homo)sexual tensions in the city of Sale, through adolescence in Tangier charged b the young writer's attraction to his eldest brother, to a disappointing arrival in the Western work to study in Geneva in adulthood. Also by Abdellallah Taia, An Arab Melancholia traces the emergence of Taia's identity as openly gay Arab man living between cultures. The book spans twenty years, moving from Sale, to Paris, to Cairo. Salé, near Rabat. The mid 1980s. A lower-class teenager is running until he’s out of breath. He’s running after his dream, his dream to become a movie director. He’s running after the Egyptian movie star, Souad Hosni, who’s out there somewhere, miles away from this neighborhood--which is a place the teenager both loves and hates, the home at which he is not at home, an environment that will only allow him his identity through the cultural lens of shame and silence. Running is the only way he can stand up to the violence that is his Morocco. Call Me by Your Name by Egyptian, Andre Aciman is the story of a sudden and powerful romance that blossoms between an adolescent boy and a summer guest at his parents' cliff-side mansion on Italian Riviera. Unprepared for the consequences of their attraction, at first each feigns indifference. But during the restless summer weeks that follow, unrelenting buried currents of obsession and fear, fascination and desire, intensify their passion as they test the charged ground between them. What grows from the depths of their spirits is a romance of scarcely six weeks' duration and an experience that marks them for a lifetime. For what the two discover on Riviera and during a sultry evening in Rome is the one thing both already fear they may never truly find again: total intimacy. In Walking with Shadows by Jude Dibia, Ebele Njoko had survived a forlorn and poignant childhood, concealing a secret he could not explain and craving the love and approval of his parents. Years later he reinvents himself and is now known and respected as Ardrian Njoko, father, husband, brother and mentor. One phone call and his life as he knows it is changed forever. In coming to terms with his dark secret Adrian is forced to choose between keeping his family or accepting a life of possible loneliness and rejection. Also check out Diriye Osman, a Somali-born, British writer, artist and editor. He's currently working on a collection of short stories about gay and lesbian Somalis living in London and Nairobi. His artwork is amazing and he has also written some LGBT short stories. Earthling, which was originally published in Kwani? Magazine follows the life of Zeyuth, a schizophrenic Somali lesbian, whose fraught relationship with her estranged sister, Hamdi, comes to a head when Zeytun decides to gatecrash Hamdi's wedding. Pavilion, about a Somali drag queen who works in a mental hospital in London. Ndambi, about a young woman reclaiming her sexuality after a breakup.